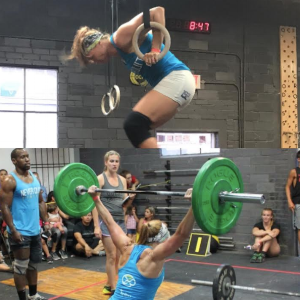 As a 37 year old mother of 2, Kristin has seen tremendous success in the sport of CrossFit. She has an impressive three CrossFit regionals qualifications, and 1 CrossFit Games qualification with Team CrossFit Lubbock under her belt. She has been a practitioner of the Macroholics system since it's inception. I’m a busy working wife and mom of 2 awesome kiddos. I also enjoy Crossfit in all my spare time. Competing is something I have always loved! Trying to juggle my life and my training is always interesting but thankfully I have an amazing support system behind me. One vital component of this support system is Macroholics. I would say most of my life I did not have a healthy relationship with food. Therefore when it came to fueling my body for athletic performance I was struggling! Macroholics has helped me finally find freedom when it comes to food and I am seeing the results daily in the gym. I love that this program is a way of life, not a diet. It has helped me incorporate foods back into my life that I was afraid of in the past, thinking I would be fat if I ate them; and it has allowed me to just enjoy life more. I don’t have near the stress I used to when the food isn’t in my control and I overall feel better as a mom, wife and athlete. My focus and ability to recover is better with proper nutrition. I didn’t even realize what I was missing until I had Macroholics! I am excited to see how consistent dialing in on my nutrition and fueling my body appropriately continues to help as I aspire to be the best me and compete in whatever avenue the good Lord has planned.